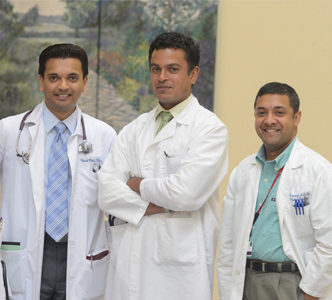 At Rutgers Cancer Institute of New Jersey, patient care is a team effort. Combining their expertise and experience, your healthcare team will work together to provide you with the most advanced treatment options including an opportunity to take part in a clinical trial. Having representatives of many different disciplines involved in your care ensures that you will receive the best possible treatment for your individual diagnosis. 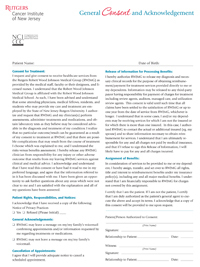 Prior to your first visit, please take a few moments to read and review the information below and consult the New Patient Checklist for a list of items to complete. 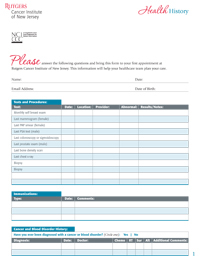 Be sure to print out each form, answer all of the questions, and bring the completed forms with you to your first appointment. You will receive a reminder call one to two days prior to your appointment. If you are unable to keep your appointment, we ask that that you call the Intake Office at 732-235-8515. Please plan to arrive 30 minutes prior to your scheduled appointment so that you have enough time to complete the registration process. Frequently Asked Questions / Important Phone Numbers - Who can I call if I have questions about my visit? Questions to Ask when You Meet with Your Healthcare Team - What types of questions might I want to ask my heathcare team about my condition and about my treatment? 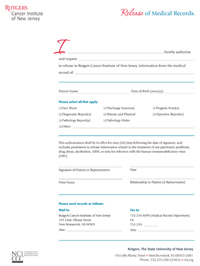 Parking and Directions Information - How do I get to Rutgers Cancer Institute? Where can I park? Click here to sign up to receive our magazine and/or electronic newsletter.